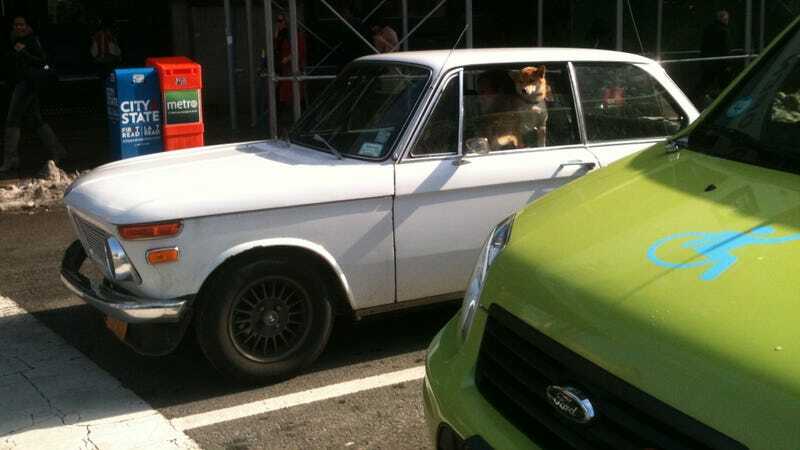 Tear my eyes out because I have seen perfection - a doge puppy in a modded BMW 2002. This was earlier today at Lafayette and Houston. If you see this car in New York City, give the owners a high five. And if you can tell if this is a shiba inu, akita, or another breed, let me know.